That was another interesting listen as it made me go straight back and play the whole album from start to finish for the first time in a while. Unsurprisingly Tormato is the main sequence album I play the least often but saying that Onward is a piece of music that has really stood the test of time. 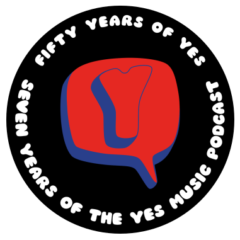 One of the strangest curatorial decisions the band ever made (and lets face it there have been more than a few over the years) was to not include it in the Yes Years box. I loved hearing Continuity Yes play it at the Royal Albert Hall a few years back and I would love love love them to get Alison Balsom to come out to play that solo next time they hit the RAH or Birmingham. Please someone make that happen. Thanks. All that said I would be disappointed if they ever considered tackling the whole album as part of a future European tour. That would be pretty brutal. The other strange thing about Tormato is that despite coming off such a lack lustre album the 1978 UK tour was musically one of the greatest shows I have seen by any band any where before or since. I say strange but the fact that they limited Tormato’s presence in the set list to four songs kind of says it all. Especially as the last three studio albums had been taken on the road and performed in their entirety. The album’s role in those great gigs is really quite inconsequential. By the time they got to America those four selections had been whittled down to three with Don’t Kill The Whale making way. Maybe Onward with its subtle chamber music construction, string pad and horn solo was too delicate and complex a thing to do justice to with 1978/9 PA systems. Or maybe they couldn’t trust rowdy 70s drunk and drugged arena crowds to sit through it without cat calls, drunken shouts for “rock n roll” or, and I think this was more a UK thing, would-be humorous cries of “Wally!”. 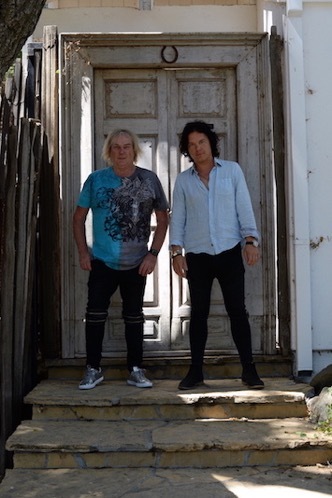 ARW meanwhile could maybe find quite a few things on this album worth tacking as jolly, 80s style rock numbers are definitely what suit them best. For context I am really not buying the live ARW version of Awaken, it takes one of the most spiritual tunes in rock and turns into what sounds to me like a slab of soundtrack music where even the subtle bits are designed to be loud and in surround. I actually quite liked it on the night but the recording just has me feeling that they’ve ripped the tension and release out of it. It is a piece that on record I would confidently stand next to some of the most moving sections of symphonic music but this version brings bombast where there should be majesty. In the sections that are meant to be played forte with the energy coming from the physical and emotional commitment of the players it just sounds to me like everyone has hit the “this one goes up to 11” button. It’s just loud where there should be a building dynamic tidal wave. It’s not bad at all just lacking grace. Which is all ears of the beholder stuff, obviously, and I am well aware that puts me in a minority. That said I really like the space rock version that Anderson sings on from Reykjavik in 2013. If you wonder what a merger between the Floyd and Yes in ’77 would have sounded like then this is it. Well worth checking out. Anyway, to cut a long story short, hopefully ARW leave Onward alone as what I do not need is to hear it done new age-ified and Living Tree style. A memory lapse on my part, the previous *four* studio albums had been played in their entirety when toured for the first time. CTTE, TFTO, Relayer, GFTO. Not three as I have it above. Thanks very much Ian. I would really love a real French Horn for Onward, as I’ve said previously. I would definitely go to a complete Tormato concert, but that’s not really a surprise! Funny thing about this album I seen this show in the round probably the best seats I’ve ever had for a Yes show (at the time) 2nd row plus there walk way was right next to my seat which was amazing. I know that my brother and all our friends that were into Yes at the time this album was played over and over with several copies being purchased due to over playing. This album brings the best and worst out of every Yes fan that’s for sure, however I personally loved this album I guess I’m just a bit odd. 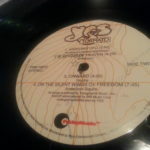 Very sad that I was never able to see silent wings of freedom live absolutely loved that tune. Onward was a nice surprise on this album very very cool. Now they used it for a tribute to Mr. Squire balled my eyes out when I seen that. Thank you Kevin very much enjoying it everyday! Great show gentleman as always. Thanks Paul – I wish I was old enough to have experienced the Tourmato! For me, every Yes album is a singularity. Not one of them is quite like any other. There was a certain uniformity and evolution to the sound of the band up through TFTO, but that went out the window with Relayer. 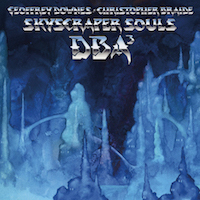 Roger Dean’s covers also provided continuity for appearances sake, but was absent for what is considered by most the pinnacle of their musical growth – GFTO. The songs are all very original and different from what came before, while simultaneously retaining an obvious identity as music only Yes could create. Interesting melodies and arrangements, Jon’s lyrics in the transition zone from celestial gobbledegook to marginally grammatically correct English, and how about that variety of styles! – Pure prog-rock, a protest song, a couple of ballads, art-rock, space-rock and some straight ahead balls-to-the-wall Rock-N-Roll! What other band can cram so much into a forty minute package? If I have any complaint about the music, it’s that I always thought Rick’s keyboards sounded a bit thin and ‘plinky’ here – not a lot of meat to them, mostly gristle. A little too much harpsichord influence, perhaps. What drives this album is Chris and Alan’s rhythm section work. They are doing some incredible stuff here, and everyone else has to keep up. Rick and Steve may not have been working too well together this time out, but Alan and Chris are handcuffed to each other here, completely locked in, especially on ‘Release, Release’ (I love the sort of “counter rhythm” backing at the outset and repeated at the end) and, of course on ‘Silent Wings…’ Tormato shows off the World’s Greatest Rhythm Section at it’s best. …ummm, so this Kehew guy had access to the original tapes in 2013!?!? Steven Wilson needs to get in touch with this guy! I think it’s worth repeating again that I recall reading an interview with Rick some years back wherein he said something to the effect that “Tormato could have been every bit as good as Going For The One if we had just been allowed to finish it.” His story is that they were going to add a great deal more overdubbing to the music, but the Label (in Evil Scare Quotes) took what they had, released it and pretty much ordered them out on tour, trying to capitalize on the success of GFTO. I wonder what THAT might have sounded like! Getting into random thoughts now… Kevin – for your continuing ‘tuned percussion education,’ that’s Alan playing a vibraphone with the tremolo all the way off and sustain all the way on in the background of ‘Onward,’ not Rick doing some keyboardy thing. At some point I had this album on commercial cassette tape (I know not why!) and the positions of ‘Release, Release’ and ‘Silent Wings’ were swapped, no doubt to equalize the length of each side, thus using the minimum amount of tape necessary. In it’s released format, side one is about 19 minutes, whereas side two is nearly 23. Try re-ordering the play sequence and see what it sounds like with ‘Release, Release’ as the album closer. 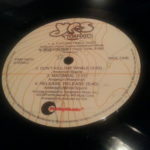 Mark, you mentioned the 1991 CD remaster on CD – I’m pretty sure this was a bit of hurried almost coverup work by Atlantic/ATCO (or whoever) as, by 1991 the entire Yes catalog was available on CD… except for Tormato! 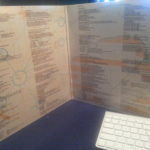 It wasn’t even included in the ‘Union’ tour book on the back-catalog page. I’d heard that this was the result of some ‘bean counter’ accounting screwup involving slow or poor sales, which is weird for an album that was their fastest selling “look at me, I’m platinum!” album ever. I never did get the chance to see any of this live, as they just did not come to Las Vegas at all on any of their 1978 and ’79 tours. Thanks for this, guys, this has been an especially enjoyable time this week! P.S. – Nice collage photo at the top, Kevin. Very cool. “…CD remaster on CD.” I proof-read this twice and missed that! You just can’t find good help any more! I agree about Alan and Chris – what a team here! I do hope you are right about those master tapes, that could be wonderful and thank you for the continued correction and elucidation on those pesky tuned percussion aspects! Great episode – thanks. It feels like you’re entering quite a skittish phase, which is fun. It’s been such a full year for Yes fans, that you’d forgotten that they played “Onward” this year on the UK tour in Spring. I had to check, though. I was surprised that you considered a couple of tracks on “Tormato” unworthy of resurrection. I love the whole thing. It was the first Yes LP I bought, and as a very young listener I found it very accessible, more so than the low-fi cassette recordings of “Close to the Edge” and “Going For The One” I had at about the same time. Tormato is full of hooks. It seems, rather than being part of an ongoing evolution, to explode in diverse directions instead, so perhaps it’s unlikely that many people will like all of it. I do! As I was listening to 352, it suddenly dawned on me that Kevin’s Other Band is Queen. And I think that explains his love of “Tormato”. The sudden shifts in tone, the way the music twitches and sparks one moment and turns syrupy the next, the flirtation with disco, and the grandiose lyrical conceits – I could be describing either “Tormato” or much of Queen’s work. I don’t think “Tormato” needs remixing or, heaven forbid, repackaging. Putting a Roger Dean cover on this would be as insensitive and inappropriate as putting one on “90125”. If I was forced at gunpoint to replace this Hipgnosis cover, it would be with a mosaic or tapestry like Pink Floyd’s “A Nice Pair”, with a 3 X 3 separate image for each for the eight tracks, each in a different style, to reflect the album’s schizophrenic collection of personalities. That would leave a spare square. You could depict “Abilene” in there, although here I reach my limit of “Tormato” appreciation. This B-side sounds shockingly limp to me compared to anything on the album. Is there anyone out there who loves to? WOW – that was great, Dave! Especially like the comparison to Queen. I never woulda thunka that! Sorry – I meant to finish on “loves it”. Also, I’ve just realised something that’s been nagging at the back of my mind for years. “Abilene” sounds like “Baleen”, which is the technical term for whalebone. I always wondered why the title of of “Don’t Kill The Whale”‘s B-side seemed to suggest the A-side and now I’ve realised. Whoa! That’s an interesting point! I wonder how we could verify it…mention it to Steve when you see him next. Yay Dave! A fellow Tormato fanatic! However, I’m not a fan of Abilene (in any of its various spellings), I’m afraid. Great episode guys (again!) and, inevitably, loads of great comments. First, a couple of observations. Did I hear you correctly, Kevin? I played it a couple of times to check. You commented that you didn’t think “Onward” had been played live since Olicer Wakeman was in the line-up. Yet I’m sure they played it live at Brighton on the 50 years tour. What’s more they played it at the RAH gig that you attended and I think I remember you commenting that Geoff’s French Horn sample was as good as you’ve ever heard (though I couldn’t find the episode in a none too thorough search). Second, like Dave Owen, Queen sprang to my mind, but for different reasons. You stated (again) that Tormato was your introduction to prog rock, but, assuming you were already into Queen, whilst not widely recognised as a prog band (probably due to all the stadium rockers they conquered the world with) much of their earlier material was very much prog rock. (One might argue that some members of queen lacked the virtuosity associated with prog – Mercury himself often belittled his technical ability on the piano – but no-one’s ever questioned Pink Floyd’s “prog” credentials – and they certainly aren’t renowned for displays of virtuosity.) Long before Bohemian Rhasody (surely a prog track) the first and expecially the second album had plenty of prog. I’d suggest “March of the Black Queen” was my own intrduction to prog. But this episode was about Tormato. 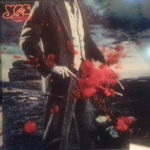 This was my second Yes album. Sold to me for 50p by a mate who didn’t geet on with it. I’d recently bought TYA after discovering this was the source of a track I’d heard and really loved, but didn’t know what it was. The track was Your is no Disgrace. I was sold on every track on the album. After years of Zeppelin, and Rush by way of Slade and Queen, this music was the new, slightly more cerebral, but still emotional music I sought. Tormato very nearly killed my interest in Yes! Fortunately I heard CTTE and Relayer soon after and my love was secured. So what’s wrong with Tormato for me? Hands up – I don’t like UFO or Circus for the same reasons everyone else states (though I accept there are plenty of good moments within). But mostly it’s the sound. There are a lot of tracks full of tension, but with no release. Kevin often talks about “Order our of Chaos” being one of Yes’s trademarks. It simply doesn’t happen here. Lots of dissonance without resolution – not necessarily a bad thing, but not what even now I expect from Yes. I wonder whether this was a deliberate reatuion to Punk, which of course had anything but resolution. And, for me, Chris “pushing the boudaries of bass guitar sounds” is one of the things that ruins this album. I don’t understand the praise. It feels like effects for the sake of effects. (If you buy a new multi-fx unt these days it comes pre programmed with 20% usable patches, 30% useful starting polts for your own patches and the remaining 50% patches which are designed to show of the extremes of what the board can do. Often great fun, but should bever be used in a musical context. This is what I always feel Chris is doing here. It means the bass is all over the mix, interfering in frequencies that should be left for the guitar, keys and percussion. Is this part of the bad production. The opening riff for OTSWOF is brilliant and it even works with the very over the top harmoniser, but the moment Steve’s ridiculously over echoed guitar lines come in, hi-hat, guitar and bass harmonics all fight to be heard. A mess. 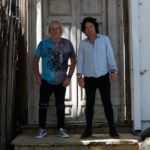 As for lyrics – some good observations in the podcast. John Anderson’s lyrics work best either when they are unintelligible but sound deep (most of the “main sequence”) or unbelievably simple – be they simple story telling as in “Olias” or “Song of Seven” or even the title track from “Time and a Word”. If he’s used his unintelligible lyrics for “Arriving UFO” and “Circus of Heaven” I’m sure they would draw far less criticism. But I still love the album for Rejoice/Future Times, Madrigal, Onward and Release Release – the headbanger which is bound to put your neck out due to its shifting beat emphases. Thanks Tim. I actually wasn’t at the RAH concert but you are absolutely right that I had completely forgotten about that more recent performance of Onward – which, as you say, I was quite impressed with. I’m not sure quite how far my Queen listening had got before I heard Tormato. Perhaps I had only heard Greatest Hits and The Works so I was yet to discover the early prog on Queen II etc. I understand your points about Chris bass sound but I still love it. As I’ve said many times, this music is so deeply rooted in my mind that I just can’t hear a lot of the issues other do. Anyway, I agree wholeheartedly with you about Rejoice/Future Times, Madrigal, Onward and Release Release! Too much red wine (again) for me. I meant the London Palladium gig (according to Forgotten Yesterdays, they didn’t play it at the Birmingham gig you attended on that tour – not that I’m stalking you or anything). I must try harder! While I know you’re being cheeky by calling it a ‘forbidden subject’, I’m sure most fandoms love to discuss even the perceived flops of whatever they’re fans of – surely Yes fans are like this with ‘Tormato’. Your love of ‘Tomato’ is one of the little things that I love about the YMP. It’s far more endearing than some fan discussions where someone takes repeated negative potshots at something they hate (especially if other people really like it), so I love the positivity every time you mention it. 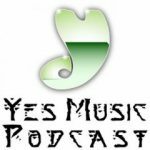 When I first discovered YMP, it was your repeated praise for ‘Tomato’ that led me to finally fill in the missing gaps in my Yes albums collection, reigniting my enthusiasm for Yes. I owe you my thanks for that, so please continue enthusing over whatever you like, even if other listeners don’t share it. As to what I think of ‘Tomato’……….. well, I can see why it’s not usually considered top rank Yes. There’s no sense of cohesion to it, it comes across as 8 random tracks; there’s no consistency of sound or style from track to track, and there’s little flow from one song to another. Everyone’s recorded strangely, and no one sounds quite like themselves – Squire and Wakeman use really strange tones on their instruments, and Anderson sounds unusually shrill and unpleasant. This is kind of when those super-produced studio-sounding albums were becoming the norm for the more ambitious end of rock (I’m thinking of ELO, Alan Parsons, Pink Floyd, etc) – somehow instead of sounding pristine, it sounds really claustrophobic to me. And while a certain twee-ness seems like the kind of thing Yes would pull off, “Circus of Heaven” isn’t “For the Benefit of Mr. Kite”. Mainly though, it sounds like Yes casting around for a new direction, and not finding it. Nothing sounds assured. If you pointed to this and said this represents the state of prog rock in 1978, I’d be forgiven for thinking the genre was running out of gas and would agree with the public that it’s time to look elsewhere for inspiration in rock music. It seems Yes agreed because this line-up splintered right after. Having said all that, I still enjoy listening to it, even if it’s not my ‘go to’ album. It’s still part of the ‘classic era’ of Yes, even if ‘Tormato’ didn’t wind up become a classic album itself. I still enjoyed you discussing how much you love it, balanced by MAK’s more reserved praise. Thanks again for another fun episode. Now I await your passionate defense of “Open Your Eyes”. Thanks Charles. I’m very glad you find my love of Tormato appealing – if not necessarily the album! I do recognise your comments about its deficiencies but, you’ll be glad to hear, I have no intention of demoting it from the top of my list! When I first got interested in Yes, I read about the cover well before I finally saw it. 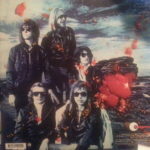 Even before I heard or saw it, the title ‘Tormato’ just seemed like a joke I wasn’t getting, from a band that wasn’t known for its sense of humor; it just didn’t land, even if the tomatoes on the cover did. And even if the flaws of ‘Tormato’ are exaggerated, releasing an album that sounds a bit like a veteran band short on inspiration…….. then putting it out with a picture of tomatos thrown at it……….. it’s making the album seem ‘pre-reviewed’. If even Rick Wakeman can’t resist making the obvious joke, I can’t blame listeners or reviewers. The band really should’ve stuck with the title of ‘Yes Tor’ (a much better joke) or given it a grander title….. and left off the vegetables. That might not have improved the music, but I think it would’ve made it less trivial. I actually like Hipgnosis’s work (I have the coffee table book of their complete works), and think of the two-album period after the solo-albums break and the line-up shuffle of Drama as “the Hipgnosis era” of Yes. But I think the joke (such as it is) of the album cover/title was better suited to some of Hipgnosis’s other clients, like UFO or 10cc who did this sort of thing a lot. Thanks again, Charles. I also like other Hipgnosis covers and, of course, I have a soft spot for the Tormato one. I agree, though, that they should have gone for ‘Yes Tor’ – even the inner sleeve would have been better as the front cover – that could have worked! This is why I love the YMP so many different things can be found here on any given week! 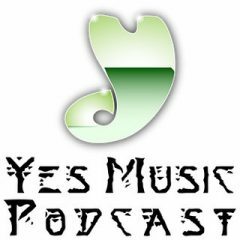 Awesome as always and to all the devoted Yes fans across the world that is what makes Yes so Great! I also loved the intro – especially the fact you made no reference to it (at least I don’t think you did, it’s nearly a week since I listened) but I do wish to make a complaint about YMP related to this. Prior to the recent weeks’s discussion about crowd noise, I, like others who have commented, have successfully managed subconsciously to filter it out. I’d never noticed anything untoward on Topographic Drama which I rated quite highly as a live album. Since YMP raised the issue of crowd noise, I listened again and it’s very prevalent. Unfortunately once heard, it cannot be unheard, so YMP has destroyed the listening pleasure I once gained from that album. Oh dear – I’m really, really sorry about that, Tim. That’s obviously the opposite of what I’m trying to do withe the YMP. I suppose it’s a bit like (although worse than) hearing a spoiler for a set list or film/TV show. I always try to make sure we are being fair to ARW and Yes and that includes pointing out deficiencies as well as heaping praise where it’s due but I can see where my spotting of the crowd noise and subsequent little jokes have backfired for you which must be really annoying. Kevin, my post was firmly tongue in cheek, as I hope yours was. Although it IS true that once heard, you can’t unhear it! Whether we like it or not, we need everything identified and discussed: the good, the bad and the ugly. Perhaps a theme for an episode: the little “bits” that don’t form part of the song, such as the count-in for Going for the One (once noticed, never forgotten). I’m not sure there are that many for Yes, but I’d love to be proved wrong. Mmmm interesting idea…thanks Tim – is there an emoji for tongue in cheek? NICE! I believe I remember reading that it was actually crowd noise lifted from a soccer (sorry, Kevin – “football”) match. I try to like Tormato, honestly. Given Kevin’s love of it, I want to give it every chance, and each time he gives it a boost, I go back and listen to it again, hoping that I’ll hear what he hears, but the result is always the same. I come away with my disappointment re-confirmed. For me the worst aspect is the lyrics. I know that John’s lyrics generally don’t bear close scrutiny, and normally I don’t scrutinise them. They are just part of the sound. But on this album, for some reason they seem to stick out, and what sticks out is excruciating. The two obvious ones are “Arriving UFO” and “Circus of Heaven”, but some of the lyrics of “Madrigal” are pretty woeful as well, and I find “Don’t Kill the Whale” corny and obvious beyond endurance. It was corny and obvious when it first came out (I vividly remember my first hearing of it), and it has only gotten worse over time. If it wasn’t for the lyrics, I think I could probably put up with most of the other issues: the strangely hollow mix, the grating instrument sounds, the corny sound effects, the cover. But not the fake crowd noise in “Release, Release”. I could never put up with that. Thank goodness for “Onward”. It is quite magic. Notably John didn’t write the lyrics! Other than that, I quite enjoy the first and last tracks, but not the rest. I wouldn’t say I hate most of it. (Actually I do hate “Don’t Kill the Whale” and “Circus of Heaven”). But as a whole, it’s just very disappointing, especially as a follow up to my favourite Yes album. As usual Kevin, I’m late to the party. I really enjoyed your podcast this week with playful production and quality chat between you and Mark. However as I was listening I thought to myself that every time you speak glowingly of Tormato, I have to go and listen to it and then I wonder if it’s the same album that you’re speaking of. I didn’t understand why you spent so much time talking about Arriving UFO and Circus of Heaven as being the dodgy songs. There is for me only one song on this album that I’d gladly have left on the cutting room floor. Don’t Kill the Whale. While it was indeed topical, on the back of it I supported Greenpeace Rainbow Warrior, the production is totally crap. I think Rick must have nodded off while rocking the portamento controller. It is by far the worst thing Yes has ever put on record. I think the other songs are really good. Even Madrigal made me think back to how I felt in 1978 about this album. It does help that the live tour was so exceptional but I remember listening to the record over and over and also taping it so I could listen to it in my pal’s car. While the cover is a total disaster, it is preceded by the biggest disappointment, GFTTO. That one was truly a let down. After that Tormato was more of the same. The intro of Arriving UFO is not made with keyboards. It’s the Eventide “Harmonized” Rickenbacker. I’ve got to say I still don’t like the cover. However after listening to the vinyl a few times I’ve got to say that the album is much better than I remember. I’ve always liked Onward and Silent Wings of Freedom, but the other tracks never really caught my attention until recently. But now even Circus of Heaven seem full of life and promises like the classic yes that I know and love. It’s one of my favorite tracks. In my mind this was her last great album. Perhaps it suffer from under production and too many notes from a certain guitar player but some of the prog grooves on this disk blow my mind. Don’t get me wrong, Steve play some incredible guitar here too. I love Squire’s bass in the tones and affect said he uses. He’s playing is so dynamic, not just because of the speed at which he plays, but even more so the feel and ambience that he creates. Alan White is a monster and lays down some of his best beats. Rick is brilliant as always. And maybe this disk holds a special place in my heart now too because I realize it was Jon’s last effort during this time. With this lineup. His lyrics and vocals never have quite packed the same punch for me on the newer stuff. Thanks again for having a look at this diamond in the rough I’m glad to have rediscovered it! No I agree, the cover isn’t great at all! So glad you have rediscovered Tormato! I think a lot of people just dismiss it without really going back and listening again.